Low decile public schools threatened by Triad! When the Minister for Education Hekia Parata voices concern about our decile funding system we should be very worried. A Southland Times editorial warns that any changes should only occur after we are assured that any replacement would be an improvement. The Minister's track record for providing support for our most vulnerable children is not a good one and I see her views on the decile funding system in the same light as her theory that increasing class sizes would bring better outcomes for children. Parta's predecessor, Anne Tolley cut the funding to the Ministry of Education by $25 million, this resulted in special education services not being able to provide the same level of support for our high needs children. Only 4% of New Zealand students attend private schools and, with funding restraints expected from public schools, this Government increased their funding by $35 million. Interestingly many Government MPs children attend them and Kings College (attended by the Prime Minister's son) has seen its funding increase by 40%. Private schools capture a large share of special needs funding and the elite Kings College was able to get almost 25% of its students sitting NCEA funded for learning support. Applications for funding require parents to pay for a psychologists report which is unaffordable for many. Decile 10 private schools are now getting five times more money for special needs than lower decile schools. Hekia Parata has tried to close all residential special schools and have high needs children placed back into mainstream schools. This resulted in Salisbury School winning a judicial review that found that the Minister's decision was financially driven and had disregarded the safety of the girls concerned. Wanganui Collegiate, a struggling private school of 400 students (and with double the staff of equivalent public schools) received $3.9 million to bail it out. This was against the advice of the Education Ministry and will now cost the taxpayer $3 million a year in ongoing support. The Minister has cut funding to successful programmes that have a proven record of lifting Maori and Pasifika achievement. Te Kotahitanaga was able to lift results in some groups from 30% to 70% success and yet the important staffing component that made it so successful was deemed too expensive to continue funding. The Government has ignored the results of their own National Standards data that show that the affluence of a community is a more important determiner of educational outcomes than teacher performance. The current system of decile funding does have its flaws and despite the intention of providing an equitable education system for all children, it hasn't been achieved. Private schools have done especially well under this Government and despite high decile schools in the public sector receiving less funding, they still end up with more money. Recent research has shown that because of their capacity to fundraise, high decile schools are still $1,000 better off per student than low decile schools. 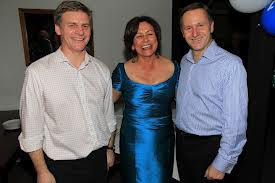 However, if Hekia Parata does stop the graduated decile funding she will only increase educational inequities and, given her track record, this was obviously her real agenda anyway.